The LTO technology is a powerful, scalable, adaptable open tape format developed and continuously enhanced to help address the growing demands of data protection in the midrange to enterprise-class server environments. In addition, LTO Ultrium 4, LTO-4 technology introduces encryption capability that increases the performance value of tape storage in terms of security, and reinforces its importance as a reliable high-performance storage solution. 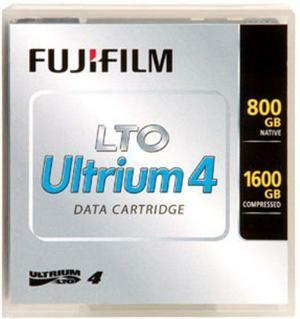 LTO Ultrium 4 is the second generation in the LTO Ultrium Roadmap to support WORM (Write Once Read Many) functionality. The LTO 4 specifications include the ability for WORM enabled and non-WORM enabled drives to co-exist and provides users with very cost effective means of storing data in a non-erasable, non-writeable format.